The weakest links in the Eurozone chain are known as the PIIGS. This acronym represents five fiscally vulnerable members of the European monetary union: Portugal, Ireland, Italy, Greece and Spain. Already, two of the five members of this august club have capitulated to the dismal reality of their public finances and are receiving a Eurozone bailout, which comes from a fund consisting of borrowed money, borrowed that is by slightly less indebted Eurozone partners. Now, it would appear, Portugal is likely to be the third affiliate of the PIIGS to get a bailout. Portugal’s Prime Minister Jose Socrates has resigned after Lisbon’s parliament rejected his proposed austerity package. Socrates claimed that Portugal did not need financial aid, and could resolve its fiscal problems through its own austerity measures. That hope appears now to have been abandoned, and the expectation is that Lisbon will soon come crawling for a bailout, as the spread on its bonds gets ever wider. Standard & Poor’s, S & P and Fitch have all severely downgraded their ratings on Portuguese government debt. In the meantime, a new government in Ireland is stating that it wants to negotiate a less severe austerity package than the one accepted by the previous Dublin government in exchange for a Eurozone and IMF bailout. As Portugal wobbles, Ireland confounds while continuing to bankrupt its citizens as the price for bailing out its reckless banks. In the meantime, the Greek economy is deflating, making it ever more likely that Athens will eventually default on its public debt. That still leaves the two biggest PIIGS without a bailout. After Portugal, Spain is the next likely candidate for the bond vigilantes. The most significant problem with Spain is that it is so much larger an economy than the previous candidates for a bailout, it is unlikely that the Eurozone and its already indebted taxpayers could sustain the massive public borrowing required to rescue Madrid from its own fiscal follies. The sovereign debt crisis in the Eurozone is spinning out of control. And not far behind in entering this vortex of doom is the United Kingdom, which despite massive public spending cuts retains an unsustainable deficit as its economy contracts. And then there is the United States, with a national debt now virtually at parity with its annual GDP, and projected to have a record deficit in the current fiscal year, exceeding ten percent of its annual GDP. 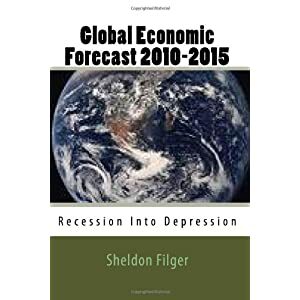 In my book, “Global Economic Forecast 2010-2015: Recession Into Depression,” I predict that by 2012 a massive sovereign debt crisis in the major advanced economies will plunge the world into a global economic depression. All the recent developments regarding fiscal issues in the Eurozone, UK and U.S. do not give me any reason to alter my forecast. At a conference in Beijing, the International Monetary Fund’s first deputy managing director, John Lipsy, spoke with alarm over his forecast that average public debt to GDP ratios in all advanced economies would exceed 100 percent during 2011. Lipsky and the IMF issued a blunt warning; these ratios, set for continued expansion with public deficits spiraling out of control, are unsustainable and will lead to critical economic consequences. 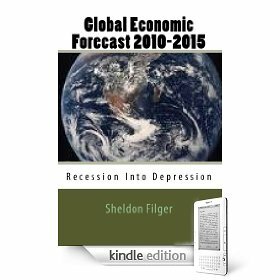 His views were in opposition to those who supported continued government deficits as vital for stimulating advanced economies, which continue to be plagued by low or negative growth. The IMF official also said that current low interest rates on sovereign debt cannot be sustained for much longer. Higher interest rates are inevitable, Lipsky indicated. The IMF is clearly worried that a sovereign debt crisis of massive proportions is about to metastasize throughout all advanced economies, having already ravaged Greece and Ireland. As the frightful nuclear crisis in Japan unfolds, with the ultimate outcome far from certain, a brief pause in the mad rush to pursue mass construction of nuclear power reactors can be witnessed. However, with the emergence of major new economic actors in the global economy, in particular China, India and Brazil, the world’s demand for energy, especially electrical power generation, will continue to rise, and probably revive the policymakers’ receptiveness towards atomic energy. In this drive, they are being increasingly joined by a strange new ally; environmentalists, those who classify themselves politically as left-leaning progressives, who see nuclear power as an emissions-free alternative to other forms of feeding the insatiable electrical grids of the global economy, most of which are major emitters of green house gases, believed to be the major contributor to climate change. In 1956, the Director of the Oak Ridge National Laboratory, Alvin Weinberg, said that, ” there is an understandable drive on the part of men of good will to build up the positive aspects of nuclear energy simply because the negative aspects are so distressing.” His point underscored a perception by many of the leading scientific minds involved in the creation of the nuclear arsenal and militarized nuclear reactors to provide propulsion for the submarines carrying the nuclear tipped missiles that comprised the ultimate deterrent of the major powers. While supporting and contributing towards making nuclear power and atomic weapons available to military forces highly disciplined and skillfully trained in their maintenance, they harbored great reluctance to see this technology disseminated freely throughout the civilian economy. The risks of such technology being managed by civilian organizations, especially privately-owned utilities, were far too grave, in their estimation. The uranium 235 fuel utilized in a nuclear reactor is enriched to 20 percent, unlike nuclear weapons, which require a minimum of 80 percent enrichment. This means that in an accident, an atomic detonation would not occur. However, virtually all the other evil consequences of a nuclear blast can occur in a catastrophic accident involving a nuclear power reactor. A plethora of toxic radioactive isotopes, some with a highly persistent half-life, are released into the atmosphere, soil and aquifers of surrounding areas, with frightful consequences for human beings. The economic damage resulting from widespread nuclear contamination can also be severe and long-lasting. In effect, a nuclear power reactor located within twenty or thirty kilometers of a major population center is the ultimate radiological bomb. Its promise of cheap, safe and supposedly clean electricity exists only in a parallel universe, where human failings and mistakes do not occur, terrorism is non-existent and natural disasters such as earthquakes and tsunamis do not happen. In our world, such a promise is illusory, as already demonstrated in the past at Three Mile Island and Chernobyl, and now so terrifyingly underway in Japan.